Jesus stated that the Kingdom of God was within us and after understanding that message, I have maintained that opinion. Knowing that the Kingdom had to be infinite and hearing that is was internal created a problem for me. 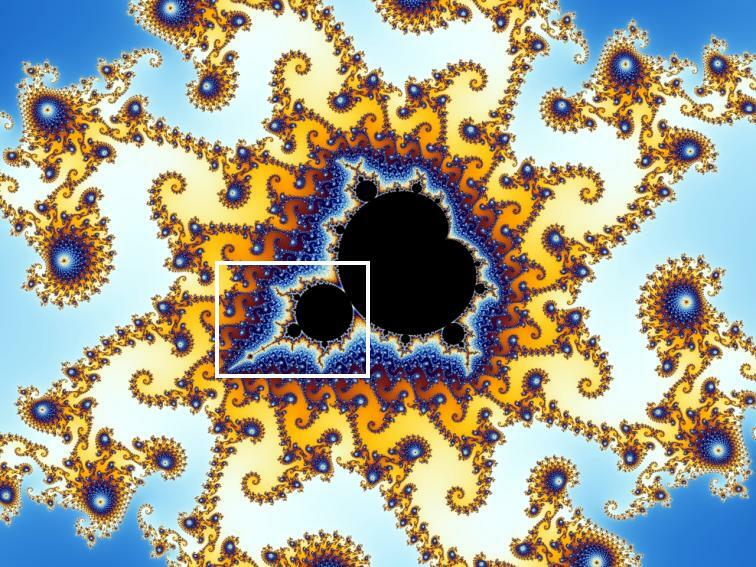 Infinity seemed beyond my understanding until my introduction to the Mandelbrot Set that visually showed me infinity with the aid of the computer. I have noticed that opinions and theories on how some observable phenomenon actually operates can change. It has not been proven that the phenomenon changed, yet accepted theories on its operations can drastically differ over time. Such theories that first come to mind are the switching centers of our rotating planetary system between the sun and the earth. 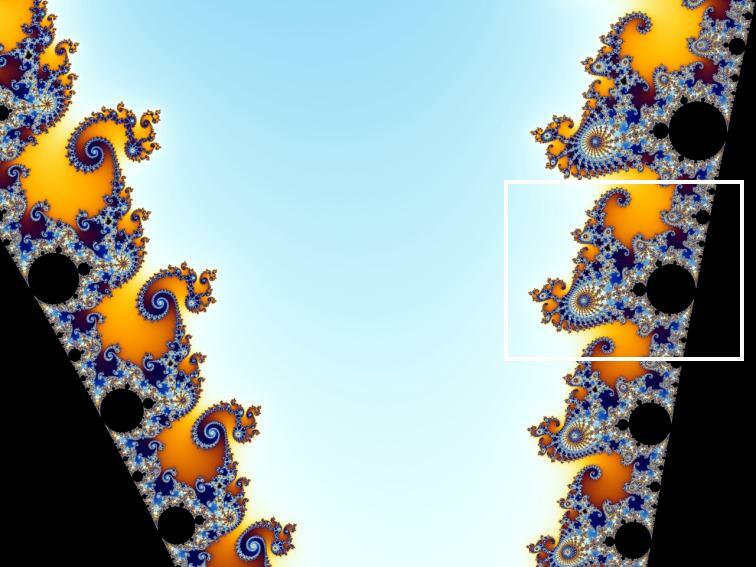 Throughout both the videos, the Mandelbrot Set is repeatedly shown to represent the vocals “Inside of You.” Consequently, an explanation of the Sets concept will be helpful to understanding the message behind the videos. First we would like to explain the difference between PNEUMA-YOD and PNEUMA-YOD GONGS OF CHANGE videos from an energy perspective. PNEUMA-YOD shows the universal energy behind the fear that is crippling the world. Amazingly, the energy depicted in PNEUMA-YOD in a different state, is the very energy that will be used to change the world. PNEUMA-YOD Gongs of Change depicts this energy but in the dynamic state as opposed to static-stagnant energy; both affect matter at the molecular level and so energy states seem to be a determining factor in change. This is more believable today than ever before with new discoveries exposing hidden energy forces at sub-atomic and molecular levels that seemed to escape public attention before. 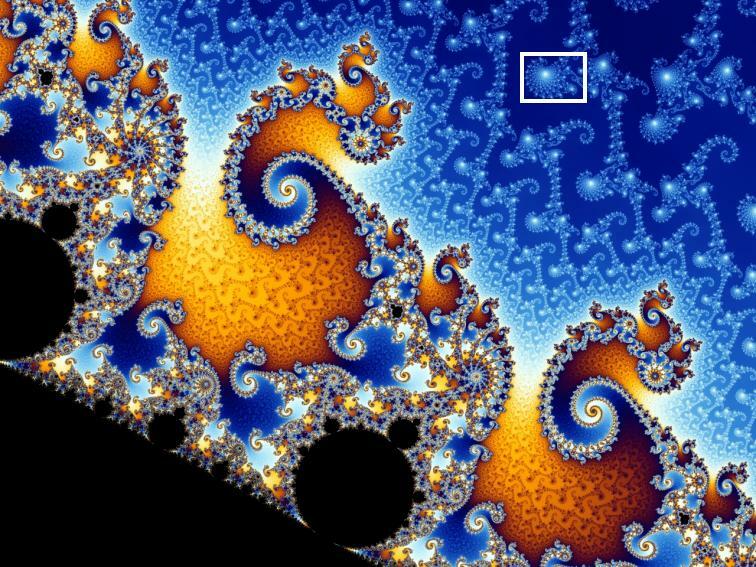 We will just mention three areas of research that have had profound affect on our rethinking of natural workings: The Mandelbrot Set (fractals), different vibrational states and their affect on Water Crystals, and Cosmic Torsion Fields. 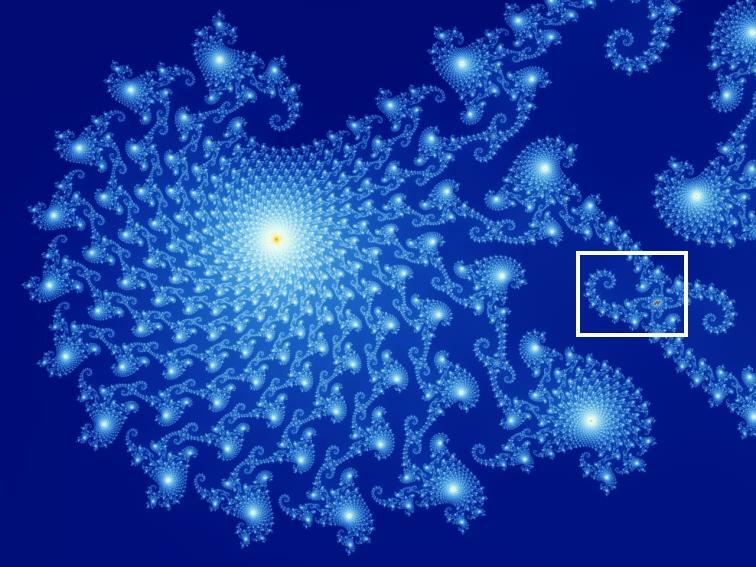 Judy has covered the affects of sound on matter on her site under: HOW SOUND CAN CHANGE THE WORLD; Craig will explain what we learned from the work of Benoit Mandelbrot (Fractal Geometry) and David Wilcock (Tortion Fields). 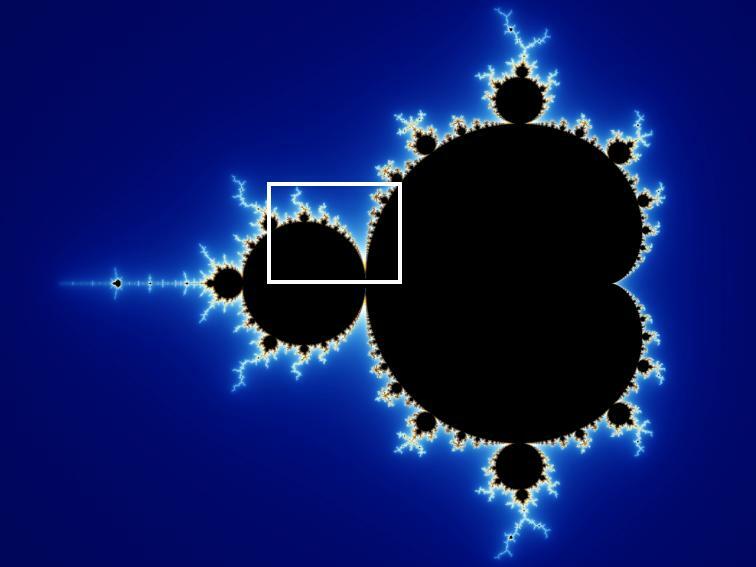 The Mandelbrot Set appears in the video and because it is central to the message of both the song “Because of the Fear” and the two videos, we will attempt to briefly explain what it is. We feel this is best done in the Arthur C Clarke’s documentary Fractals: The Colors of Infinity. The documentary actually shows the infinite that is within. In other words, it visually demonstrates how God or Spirit is within ALL Matter. The "youtube" web page: http://www.youtube.com/watch?v=qB8m85p7GsU has the video for viewing or download along with other similar selections (we will keep this link as current as possible). We suggest you visit the site and take the time to look around a little. The video is also available for purchase as well. 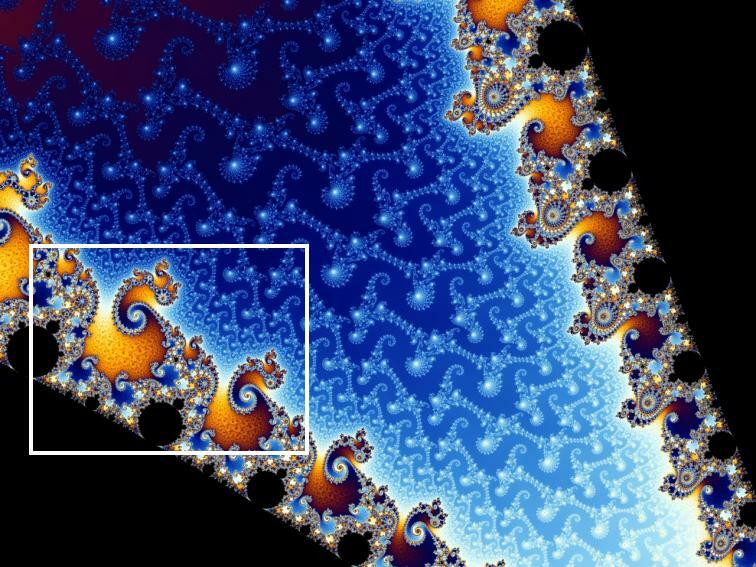 Since the first time we viewed Fractals: The Colors of Infinity, I have gone back to it many times not only through sight but also thought. It reminds me of the Grand Canyon in Arizona- you have no idea how magnificent it can be until you actually see it and once you see it, it changes you if you are open and gives you perspective you never had before. 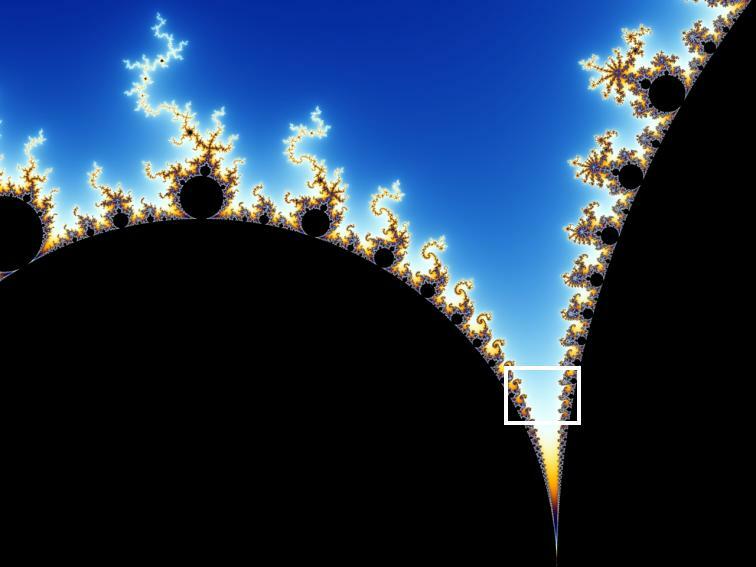 This new vantage point helped me see why the Mandelbrot Set has been called the “thumbprint of God”. The perspective it gives provides a place to stand (razor’s edge) to view the ultimate division of reality- finite extinction or infinite expansion. For a moment consider our value as a person representing a number that can change with thought and action. 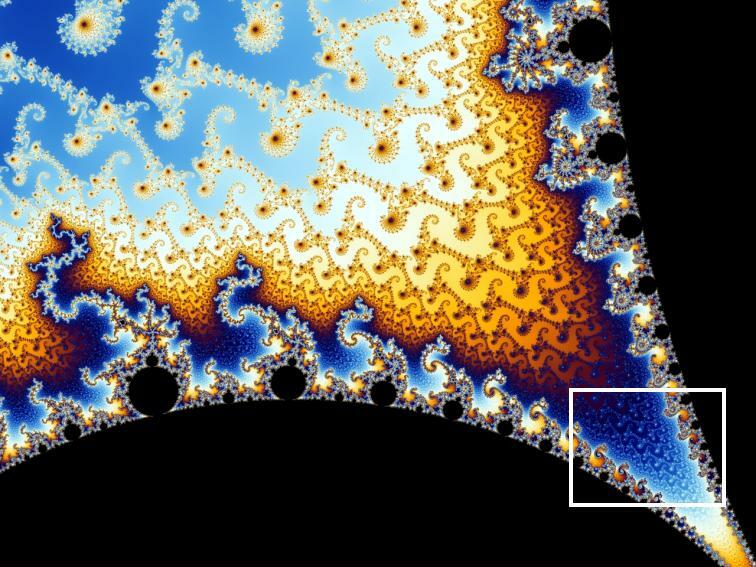 Let us now consider that a universal Mandelbrot equation is used as a filter to determine whether our energy or existence should continue to infinity (number outside the set) or fall trapped in extinction (part of the Mandelbrot Set). See the emergence of this mathematical equation as a gift from God to those people who are actively participating in reality not just the illusion of a ‘set’ life. It may seem like a stretch to you, but for me this razor’s edge perspective reveals Gods existence and guidance to all that we need to pay attention. 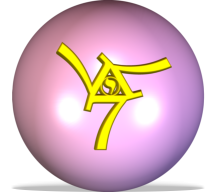 The following equation creates the boundary between actual reality and illusion: (Z z2 + C). In the explanation below just imagine yourself a number whose only guidance is God for determining your value through thought and action. The mathematics behind the equation is complex and will not be covered here. 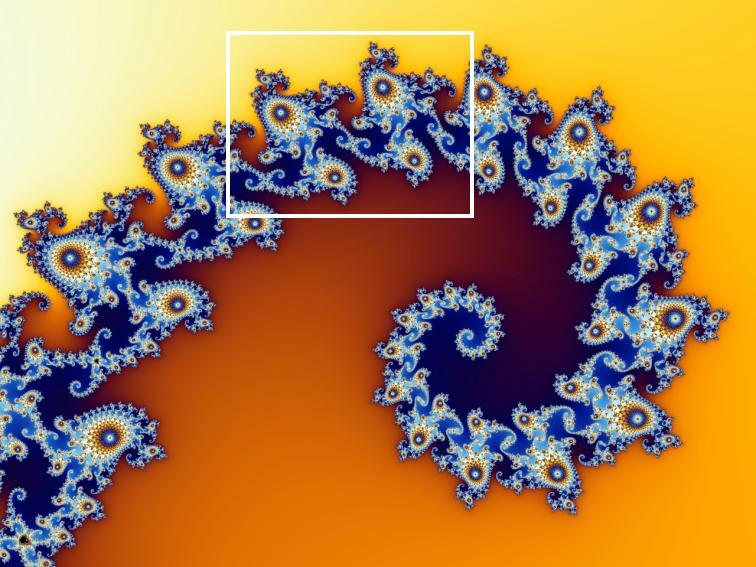 The attempt is to explain what the visual or computer rendition of the equation is showing us. 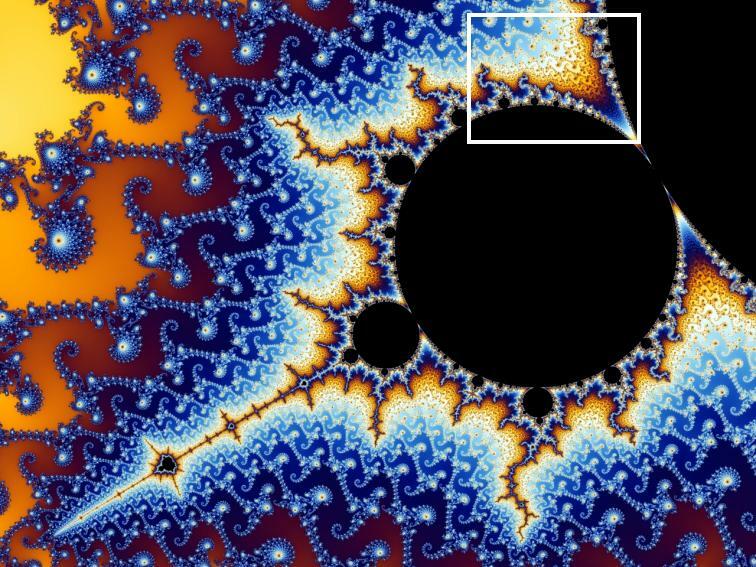 As a matter of fact, the mathematical foundation was discovered long before the significance of its dynamic visual enlightenment. It wasn’t until the advent of the computer that its true value could be understood. Although the equation only involves multiplication and addition, the numbers flow in both directions and the output of one iteration feeds the input of the next cycle or iteration. 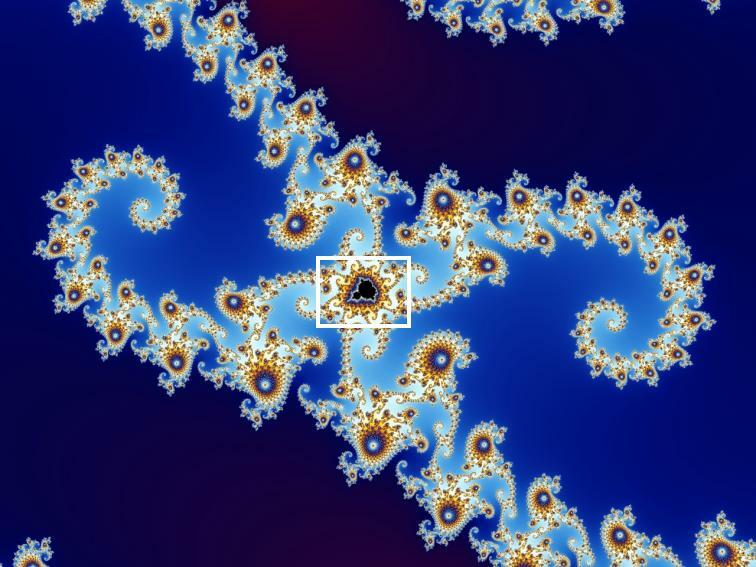 The magic is seen because of the speed and the vast number of iterations the compute can complete. Even though viewing the video makes you believe there is motion in the depiction- there is not; just the colors changing as the equation completes iteration after iteration in the illusion of motion. Before the computers time, the equation was unable to produce its full effect. I can say to you that we were affected by the video in the confirmation of God’s perfection and I was given conceptual proof of the existence of infinity. The universe was described to me as infinite and I knew that was just not true. The physical material world or matter is said to only be as finite as a Planck natural unit. Again from Wikipedia, the free encyclopedia: “Originally proposed by Max Planck, these units are also known as natural units because the origin of their definition comes only from properties of nature and not from any human construct. Planck units are only one system of natural units among other systems, but might be considered unique in that these units are not based on properties of any prototype, object, or particle (that could be thought of as arbitrarily chosen) but are based only on properties of free space… The Planck units are often semi-humorously referred to by physicists as ‘God's units’." 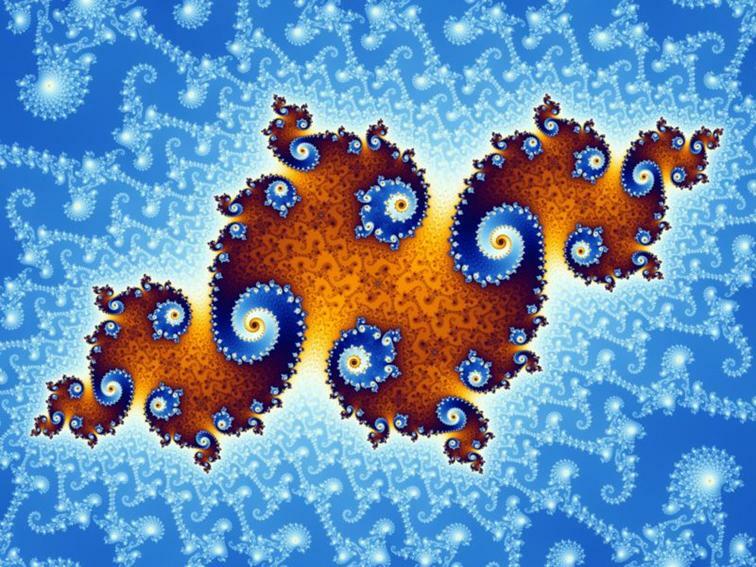 So now finally I know the infinite and the finite and the video made that possible by providing the infinite through continual magnification of the computer graphic plotting of numbers that fall outside of the Mandelbrot Set. 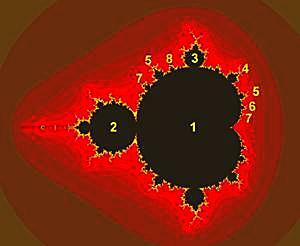 One might ask how the numbers that fall outside help to prove that infinity is inside. 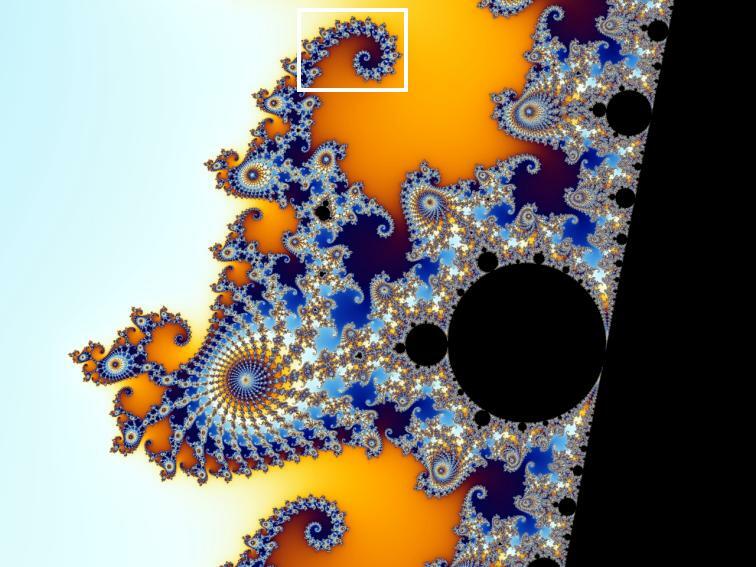 The numbers that fall inside the set are “prisoners trapped and doomed to ultimate extinction”, and numbers that fall outside “have the freedom of infinity”, as described by the video narrator Mr. Clarke. 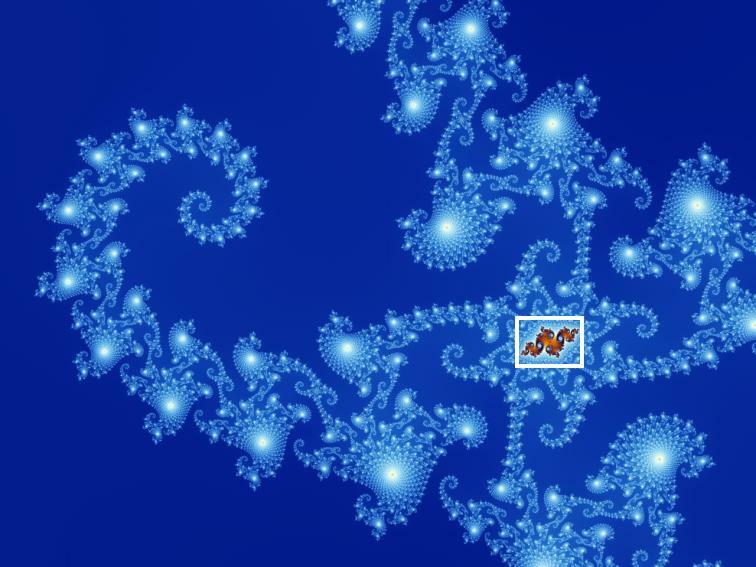 What the equation is doing is distinguishing which numbers or points are which. 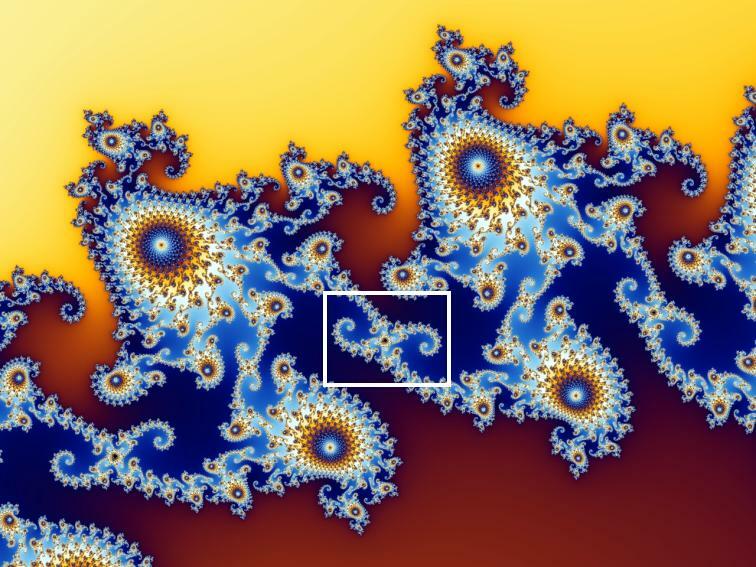 The numbers that fall outside form complex patterns (fractal geometry) that can only be viewed or appreciated by magnifying or zooming in on this pattern. Magnification or zooming in on the pattern never finds a point that chaos prevents the pattern from emerging and so the infinite is found by traveling in and not out. 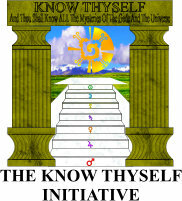 Depicted by the words, “the Kingdom of God is within you”. And so such discoveries seem to point metaphorically and literally to the direction that we must all get out of our supposed reality or Set and travel into the infinity of free will that seems to only exist in our consciousness. Our bodies and our memories seem to be trapped as it were in the Set so to speak, and only if we stand on that as a sort of relative point and gaze in or allow our conscious selves to move to infinity, will we ever be free to really know the possibilities. The FEAR must be removed or broken to see the new horizons that await our pursuance on this guided journey of spiritual awakening. The iterations of generations seem to continually place us in that set of numbers that move to zero and are trapped and doomed to extinction. Only through our conscious choice and adherence can we change what number we represent on our next iteration or input into the equation. This can only be done in spiritual awareness and continuous conscious effort…we are each that individual number that can change its value through conscious choice and it does not take physical death to do that. In fact physical death won’t change us as a number, just start the sequence all over again. In a dynamic existence everything is changing and we all must pay attention to the changes to have any hope of knowing where we are going. I understand fear, I almost drown once and in my panic the only one I thought about was me. Being so focused on the fear of dying (drowning), I got blinded to the facts I was a good swimmer and that was all I needed to do then. My brother was close enough in the water for me to grab around the head and so I did that and we both went under. My dad had to save us; it was a shameful experience in that I didn’t pay close enough attention to understand that all I had to do was swim. 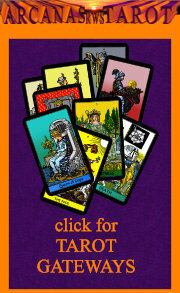 We must all pay attention and know that our understanding is relative and needs to adjust to our dynamic surroundings. Even our understanding of atomic structure can no longer accurately be described by a solid particle theory, but rather from an energy grouping perspective as is covered in the appendix Craig’s Energetic Perspective on Evolution. For so many years most of us believed that concept and would have rejected any notion suggesting the particles were really not solid and just energy groupings with possible intelligence. As I said our understanding is relative and possibly not understanding at all just speculation defended by an ego that may not really be our friend. How do we know? We don’t really know and so that should encourage us to consider other possibilities. I know it’s a gamble and not comfortable in most group discussions until it becomes widely accepted. For me there seems to be way too much science and mathematics that continues to tie back to ancient teachings not so long ago dismissed as ledged or superstition and uncomfortable to defend in group discussions. The possibility exists that there just may be a God with a plan and that plan may be in operation at this time requiring our attention and support…let’s not miss it because of the fear.